Discover all the wonders Myrtle Beach, SC has to offer this year at one of Brittain Resorts & Hotels exceptional locations. 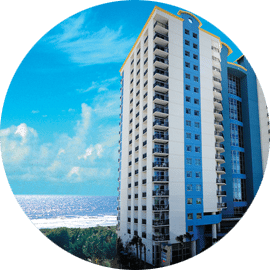 With 10 oceanfront properties strategically placed in the heart of the Grand Strand, we are ready to make your next tour & travel adventure one to remember! Experience easy access to all attractions, restaurants and shopping no matter what resort you choose. You will find motorcoach parking, meeting facilities, spa services, on-site dining, and great memories and so much more awaiting you and your new friends. Offering the best group packages at the best prices all year long, we invite you to come see why tour & travel groups won’t settle for any other place than one of Brittain Resorts & Hotels.